Subject Six-Eight-Four (aka Jane Doe) has been locked up in an underground facility and experimented on for over two and a half years as part of a mysterious ‘program’. In all this time, she has not spoken a single word. That all changes under the guidance of her new evaluator, Ward, and it becomes clear just how powerful Jane’s words are—and what damage they can cause. Whisper is a blend of fantasy and thriller with a dystopian edge. While it alludes to other books in that genre, such as Scott Westerfeld, Margo Lanagan and Deborah Biancotti’s Zeroes, it has enough original elements to keep it feeling totally fresh. Lynette Noni has created a cast of interesting and sympathetic characters; readers will grow attached to Jane Doe as she struggles to overcome her personal demons, and even the more nefarious characters will captivate. The conclusion will leave readers eager for book two in the series to find out where all these characters are heading. 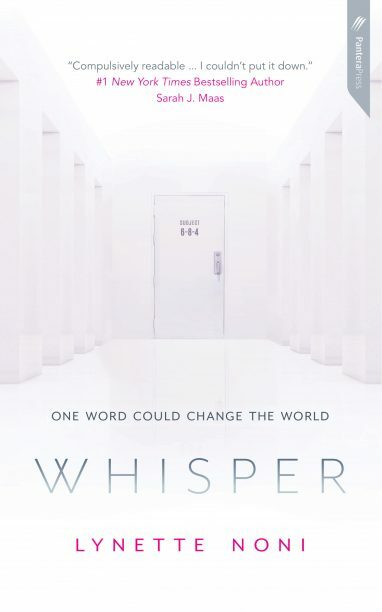 Highly recommended for readers aged 14 and up, Whisper is a riveting read.